﻿Our Nurse Midwife provides care to women during pregnancy, birth and the post-partum period. She creates a caring environment and establishes a connection with a woman and her family to provide individualized care that minimizes unnecessary interventions while offering the same tests, medications and procedures as her physician counterparts. Our Midwife works hand in hand with the physicians to provide the safest care possible for her patients. 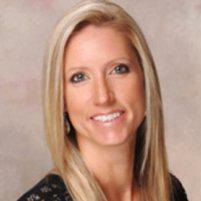 Danielle Miller is a certified Nurse midwife and Advanced Registered Nurse Practitioner. She has a master’s degree in Nurse Midwifery and is certified by the American College of Nurse-Midwives. She recently moved from Tampa joining our PBOBGYN practice. She will be on call at St. Mary’s and Good Samaritan hospital 5 days of the week while limiting her time in the office to give the most opportunity for women and their families to have access to her individualized care. “There is no other job in the world as special as this one. I get to be present for one of the most special, intimate and life changing moments a woman and her family can have. There is nothing else in this world I would rather be doing than catching your baby."